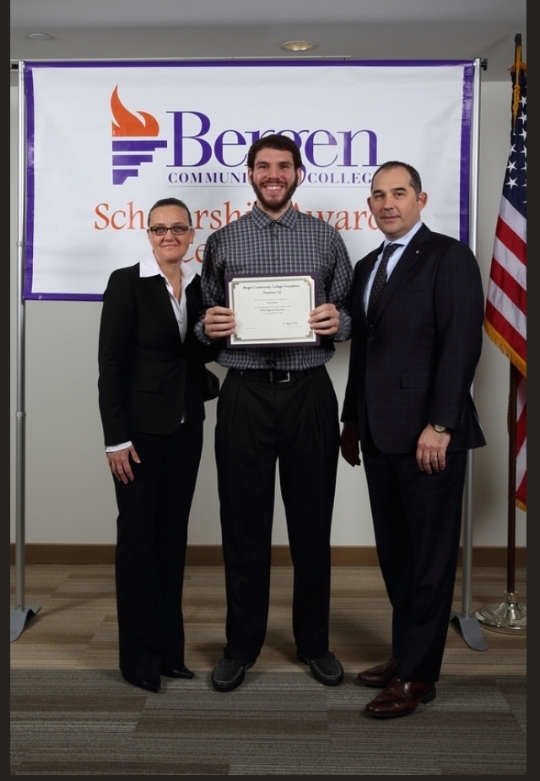 The Philip Begonja Scholarship Award will provide support for academic excellence and help defray the educational costs at Bergen Community College. Preference will be given to students in financial need from urban environments in the New Jersey and New York areas. We intend to assist each student until graduation as long as the student remains in good academic standing. Bergen Community College is a comprehensive, publicly supported, two-year institution that enrolls nearly 18,000 students from 100 countries around the world. More than 9,000 students also are enrolled in non-credit, professional development courses. Bergen offers its students an affordable tuition rate far below the cost of many four-year institutions. We always knew of the impact that the scholarships in Philip's honor would make on the students. What we weren't prepared for, was the impact they made on all of us! "Goals matter and that you keep moving forward. Bergen has and will continue to give me the support and opportunities to accomplish my goals. It is my job to be as generous and incredible as I possibly can be...."
"This means the world to me and I am looking forward to attending Bergen Community College as a sophomore. I am extremely grateful and will definitely give back to others". "Besides facilitating my education, it has imbued a sense of purpose for my studies. I will incorporate and exemplify Philip’s principles in my studies and extracurricular activities, as well as, long after my studies. Philip’s legacy will be a large influence in my future endeavors for my intended career of dentistry". "I want those whom I uplift to know the amazing feeling of receiving genuine care for their future and asking for nothing other than to do their best with it...just as I have felt it from all of you".
" The scholarship will help me finish my studies at Bergen Community College and I plan transfer to John Jay College of Criminal Justice. Thank you for your support of my dreams". "You aren't just helping me get through college. You are providing me with an opportunity to care for my family and I know that one day, I will be able to give back to this foundation as you have given to me."